Your Mortgage - Get The Best Out Of It! Whether you’re a first home buyer, you already have a mortgage or are a seasoned investor, making sure you have the best mortgage for you makes a lot of sense. The lending market is highly competitive and you should know whether the mortgage you’ve been offered or currently have is competitive. Most buyers start at “their bank”, but what does this mean in these times? Usually it’s the bank where you have your current account or credit card, but so many branches have closed or staff has changed; do you really have a relationship there? Are they going to give you the best mortgage deal? Maybe, but you’ll only know if you shop around. Seasoned property buyers know this and will always get at least one other quote to compare. You can do this yourself or you can get a mortgage broker to do it for you, at no cost. Many people are too busy or assume once their mortgage is in place that there is no way to improve on those terms. It’s your money! Why pay more to the bank than you have to? You can do this yourself by trying to renegotiate with the bank that provided your mortgage or talk to other banks or mortgage lenders. If you don’t want to do this yourself, get a mortgage broker to do it for you. Again, it doesn’t cost you anything - in fact some brokers are running promotions where they will pay youa cash amount if they cannot get you cheaper terms than your current mortgage. We keep talking about “the banks”, are the big banks your only option? Not anymore; there are many mortgage lenders - banks, non-bank financial institutions, private lenders and online lenders all provide mortgages. It really depends on your circumstances where you will get the best deal (not just price but overall terms) and which lender you are most comfortable with. 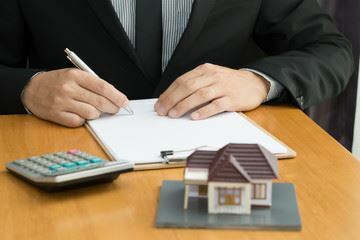 You may be comfortable dealing with banks and other lenders yourself and if not, have a mortgage broker do it for you. The mortgage market is becoming increasingly complicated and crowded. In addition, government regulation has caused the banks to lend more cautiously. There are many lenders and the brokers have panels of lenders that they have relationships with so they will know which lenders would likely offer you a loan and on what terms. If you have the time and are comfortable making borrowing enquiries yourself, you can certainly do so. If not, a good broker would do all the legwork for you. The broker gets paid by the lender if and when a mortgage loan settles. If you don’t take up a loan through the broker, unless you have agreed otherwise there should be no cost to you. Which broker should I use? Ask around, get recommendations from family, colleagues and friends, etc. Ask about the overall experience - was the broker responsive, was the service good, how long did the process take, did they have to pay any fees, were they happy with the outcome (ie) did they get a loan on terms they are happy with. An important question to as is would they use the same broker again? You can also read online reviews and testimonials; see if they have won any awards, etc. There are literally thousands of brokers who want your business so choose carefully and make sure you feel comfortable with whoever you choose. Make sure you properly understand all the mortgage terms and conditions and what your responsibilities are. If you haven’t got experience with this sort of thing you should have someone with the right experience help you. *Property Whispers does not provide advice; the information above is general in nature and does not take into account your personal circumstances. You should consider whether the information is appropriate to your needs, and where appropriate, seek professional advice from a solicitor or financial adviser.